ProAm Auto has 25+ years of experience helping people choose the right lubricants and fluids for their needs. We carefully select the brands we offer based on quality, performance, and value. We personally use these products on our own vehicles. We recommend these brands and trust them on cars, trucks, SUV’s, and motorhomes for our families and our friends. Have a look at each and decide for yourself. ROYAL PURPLE HIGH PERFORMANCE LUBRICANTS for automotive, motorcycle, marine, racing and household applications. Numerous experts and enthusiasts report performance gains by upgrading to Royal Purple. It’s considered the best synthetic oil by many end users. Red Line formulates fully-synthetic oils and chemically-advanced additives using the world’s finest base stocks. Rather than cutting costs by blending in petroleum products, Red Line's motor oils and gear oils use superior ester base stocks that provide extreme stability at high temperatures and superior film strength at lower viscosities where more power can be produced. Red Line Synthetic Oil Corporation has grown to manufacture more than 100 quality products, including motor oils, gear oils, assembly lubes, fuel additives, and its popular WaterWetter cooling additive for the automotive, motorcycle, marine, and industrial markets. Motul makes and sells lubricants that incorporate technologies proven and validated in the most extreme conditions, imposed by the manufacturers of motors and the most demanding industries. The knowledge of Motul is at the disposal of everybody by means of products designed according to standards and international certifications of quality, there where they are made. When the brake fluid starts boiling, it's too late. Braking gives rise to high brake fluid temperatures. In extreme cases the fluid begins to boil and causes vapor or gas bubbles to form in the brake system. This vapor or gas can be compressed allowing the brake pedal to be pressed all the way to the floor but the vehicles braking system is not functioning properly. 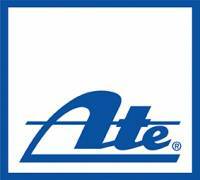 ATE offers the solution with Super Blue Racing Brake Fluid and Type 200 Amber brake fluid. Both are DOT3/DOT4 compatible. For modern ABS and ESP brake systems. Designed for applications where a lower viscosity at low temperatures is needed. For BMW, Jaguar, Audi, GM and Land Rover vehicles.CASTROL REACT SRF RACING(previously known as SRF Racing brake fluid) High performance brake fluid for vehicles under extreme or race conditions.